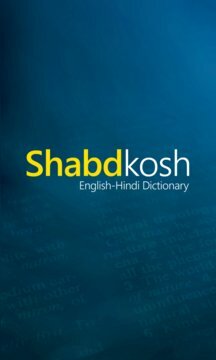 The Shabdkosh English to Hindi bilingual dictionary and translation app provides the trusted content and services of Shabdkosh.com with the Windows Phone experience. 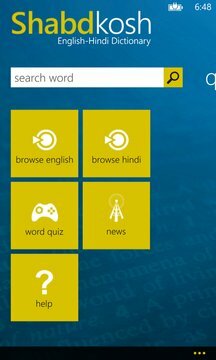 With this app, you can learn English and Hindi and improve vocabulary. For support, please contact through Shabdkosh.com as we cannot reach you if you request support in your review of the app.